Chapter 1 : The Hero Slaughterer (1). Chapter 2 : The Hero Slaughterer (2). Chapter 3 : A Class You Can Play Alone (1). Chapter 4 : A Class You Can Play Alone (2). Chapter 5 : A Class You Can Play Alone (3). Chapter 6 : Secret of the Expert (1). Chapter 7 : Secret of the Expert (2). Chapter 8 : Dancing with the Skeletons (1). Chapter 9 : Dancing with the Skeletons (2). Chapter 10 : Dancing with the Skeletons (3). Chapter 11 : Dancing with the Skeletons (4). Chapter 12 : A Mess of a Character to Others (1). Chapter 13 : A Mess of a Character to Others (2). Chapter 14 : A Cave in Mt. Bima (1). Chapter 15 : A Cave in Mt. Bima (2). Chapter 16 : A Cave in Mt. Bima (3). Chapter 17 : A Nail in a Pocket (1). Chapter 18 : A Nail in a Pocket (2). Chapter 19 : A Nail in a Pocket (3). Chapter 20 : Danger and Chance (1). Chapter 21 : Danger and Chance (2). Chapter 22 : Chance and Danger (3). Chapter 23 : 70% Luck and 30% Effort (1). Chapter 24 : 70% Luck 30% Effort (2). Chapter 25 : 70% Luck 30% Effort (3). Chapter 26 : Ahimbree (1). Chapter 27 : Ahimbree (2). Chapter 28 : Ahimbree (3). Chapter 29 : Lizard Swamp (1). Chapter 30 : Lizard Swamp (2). Chapter 31 : Lizard Swamp (3). Chapter 32 : Corrupted Stone (1). Chapter 33 : Corrupted Stone (2). Chapter 34 : Corrupted Stone (3). Chapter 35 : Skeletons Hunting Skeletons (1). Chapter 36 : Skeletons Hunting Skeletons (2). Chapter 37 : Skeletons Hunting Skeletons (3). Chapter 38 : Golden Skeleton (1). Chapter 39 : Golden Skeleton (2). 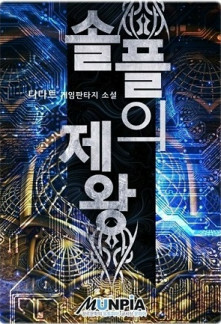 Chapter 40 : Golden Skeleton (3). Chapter 41 : Golden Skeleton (4). Chapter 42 : Searching for Migi (1). Chapter 43 : Searching for Migi (2). Chapter 44 : Searching for Migi (3). Chapter 45 : Bad Move (1). Chapter 46 : Bad Move (2). Chapter 47 : Bulkas Mountain Range (1). Chapter 48 : Bulkas Mountain Range (2). Chapter 49 : Bulkas Mountain Range (3).